We love to try out different places for breakfast. 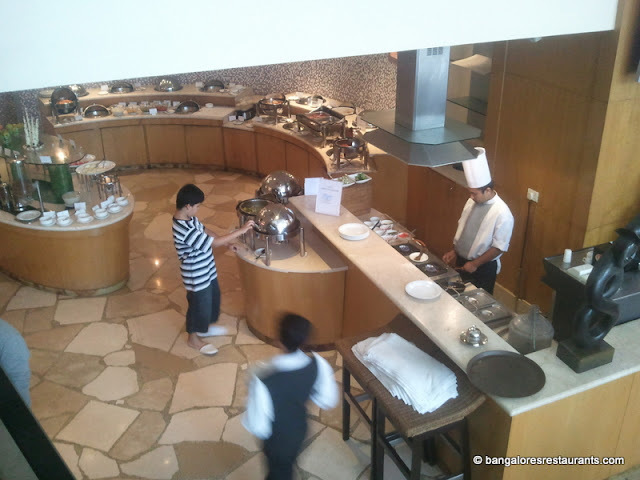 Its perhaps the only meal where I don't mind going to a buffet. 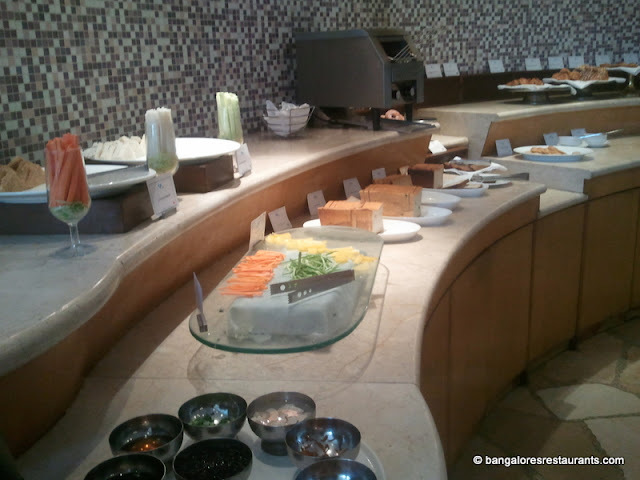 Top favorites have been the ITC Gardenia (who BTW have hiked their rates up bringing it close Rs 975 and thereabouts per head, but I still think its worth it), Monkey Bar and Isys in Jayanagar which is Anoushka's favorite. There are so many other places I want to try, but all in good time. So one Sunday we decided to head to the Chancery Pavilion, having read vaguely somewhere that it was a good deal. Off we went, down the spiral staircase and to a few vacant seats. The buffet is served at Ithaca and starts with an option of cereals and milk, and yogurt and fruit cups. From there to a selection of soups, breads, raw salads that you could throw together. 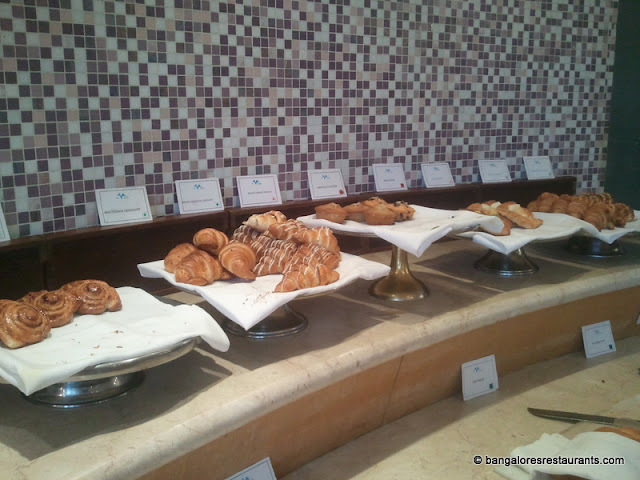 There was a baked goods section with the usual suspects of croissants, muffins and danishes. 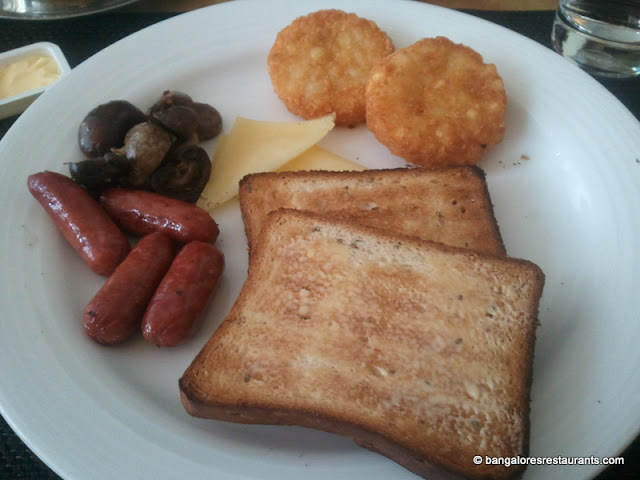 Then onto the more heavier breakfast items. 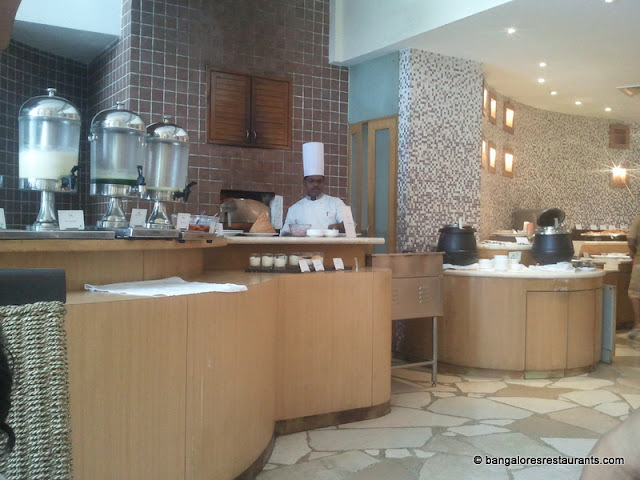 All the classic south Indian options of idli, vada, sambar, chutney, dosas on order were there. This was followed by a continental spread of hash browns, baked beans, roasted tomatoes, sausages, diced and fried liver (not bad!) 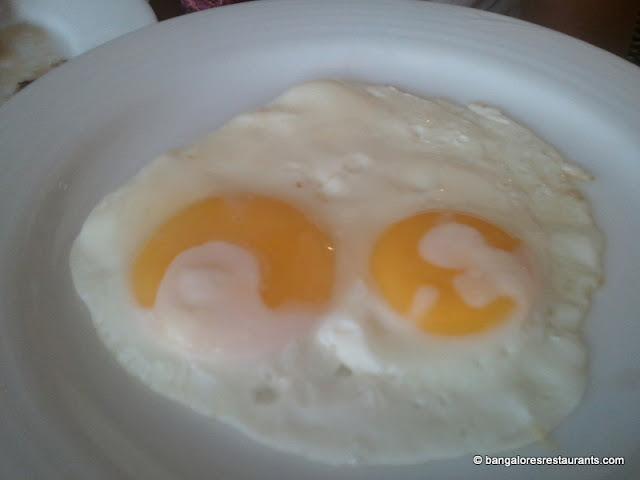 and finally the live egg station. That pretty much sums up the buffet. Now as a spread it was pretty decent and covered most of what you would look for in a buffet. But somehow it seemed so staid. For one the floor was in serious need of some staff. Just a handful of guys running between what was pretty much a full house. There was toasted bread but no butter on the table till three requests brought it there. There was no jam either and I noticed that had to be asked for and none of these were made in house. 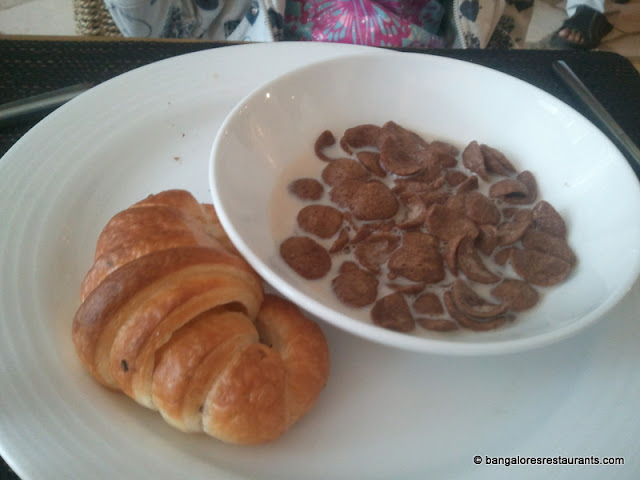 Milk for the cereals was tepid at best and a very personal peeve - there was no bacon. Didn't see any juices around too and I not sure if it was available since no one thought of mentioning it to us. What we ate is what I can make at home and much better. 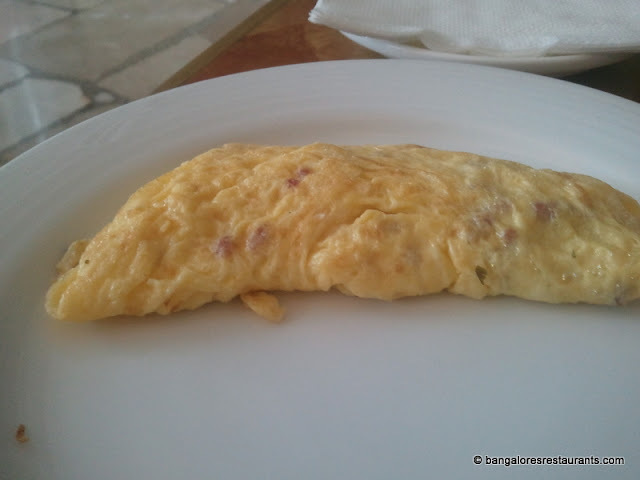 The breakfast came to approximately Rs 350 a head and Anoushka was not charged. I would have preferred Isys over this any day. We ended breakfast with a round of coffee and green tea. Can't really go wrong here. 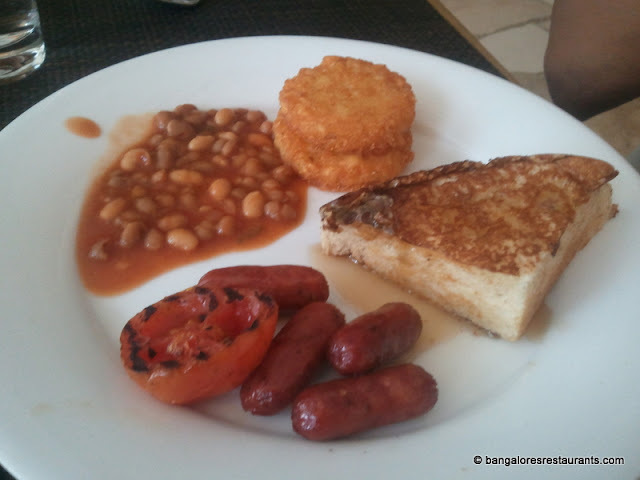 A breakfast that did the job of filling tummy but nothing to much to recall.